Producing wine is not difficult, anyone can transform grapes into wine through fermentation. What is difficult is the excellence in wine. There are many little details about what it takes to the excellence… the answer is there… “the details”!!!! and this is just the cork! Let me stop here with the wines, I think you understand from where I come from, and use it as a bridge on what I’m doing today. I’m working for a corporation, I’m a marketing professional, with business management experience and long time passion for customers. Today I work in a global team in Marketing Operation. I contribute to the transformation of Marketing in this corporation. A major transformation that is going on in all industries. The marketing approach is the same, but the media and the possibilities are radically changed. The resource requirements and focus are shifting from on-shore to near-shore to off-shore, the traditional marketing get short-circuited by the power of social networks and a blogger can pass a message better than a million valued AD. It’s the digital era!!! In my job I have to deal with multiple cultures, from Mexico, Argentina, Canada to Poland, India, Singapore, Australia. I love it! I love to engage with different people, different because they bring different point of view, different experiences, different approaches and like in wine each grape contribute with its characteristics to the final result, each individual bring his background to shape the final outcome in the global project . Sometimes is difficult, sometimes is hard, but it is so motivating… finding out the right percentage and understand what each one can do at best…. Exactly as we saw before with the wine, to get excellence in global projects, it takes a coordination of a lot of efforts, a strong focus on the final result with an incredible attention to the details. What a powerful excitement to see the details correctly selected, taking form, designing the final product, the final outcome..
Are you waking up and jumping out of the bed with energy, with passion? Are you excited? I have this image of my grandfather waking up and jumping out of the bed with energy, what a chance, another day to do what I love, producing excellence. Do what is necessary for it. This remain as a footprint in my mind, I know what it takes for the excellence I know also that sometimes is difficult to maintain the global view, understand the vision, where we want to be and at the same time focus on details. But that is exactly what those wine producers are doing, embrace the vision of a wonderful wine, full of character, complex with a marvelous experience in the nose and after in the mouth, and at the same time, with that vision in mind be dedicated to make sure that no one detail is escaping from their control. Any single one counts!!! Hi Stefano, great post. All acts of love require passion and energy, producing wine is no different than raising kids or play live music. And if you do what you do with passion, you will alway excel at it. Keep it up! Thanks Claudia for the tip!!! I’ll now search for that movie… I like Russell Crowe that behind being a complete actor is also a great rock singer. Nice post, really! 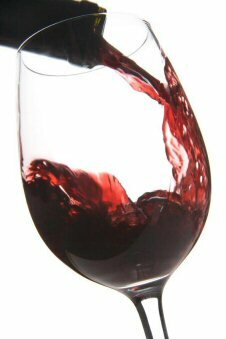 How about a good glass of Barbera Castello? Do you remember it? I think you’ll ned to get in touch with me as soon as you can. I think in next winter you can taste it to my home!